Took some work to get the stencil right but we did it! 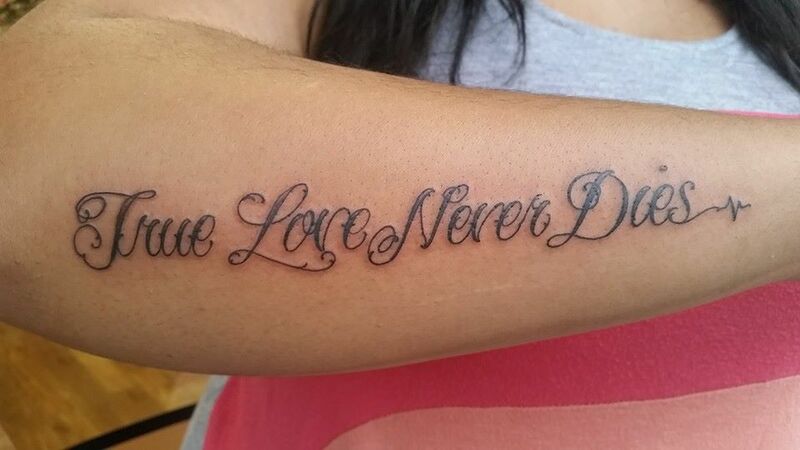 This was a pretty quick tattoo I did for a client in memory of her Grandfather. 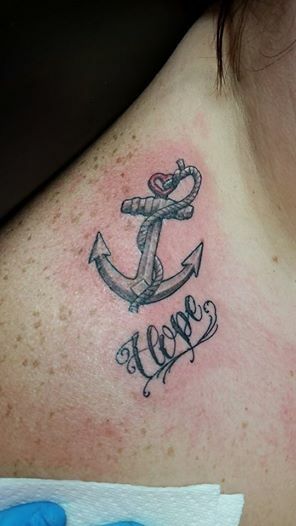 Hang On Pain Ends is what hope stands for according to him. A woman asked for this phrase in script today. Years ago I couldn’t stand doing lettering, it was difficult I thought. With much more lettering under my belt and hours of practice, it’s not so bad. 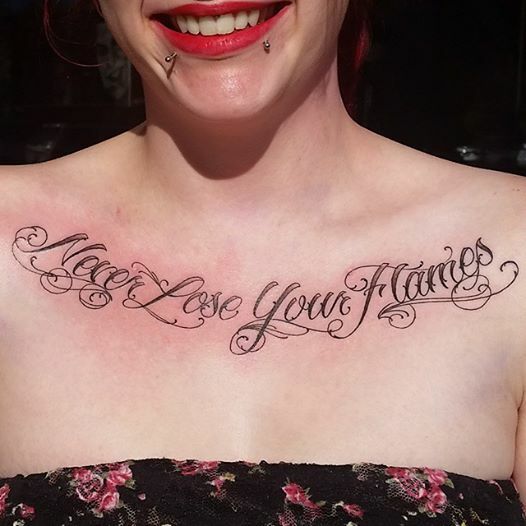 This is a lady who walked in the other day wanting a tattoo in memory of her father. These are words he often repeated. He had his own Pegasus tattoo with similar colors. This tattoo took about 2 1/2 hours.